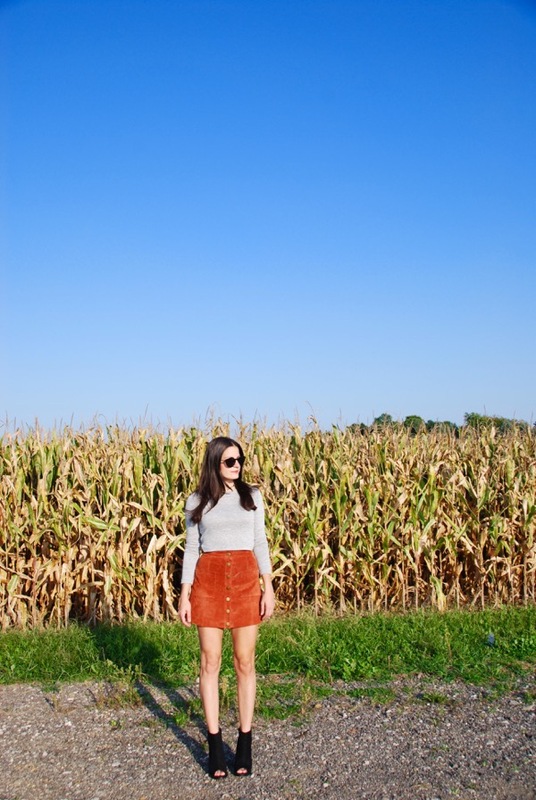 I’m obsessed with this beautiful rust suede skirt from Tobi! 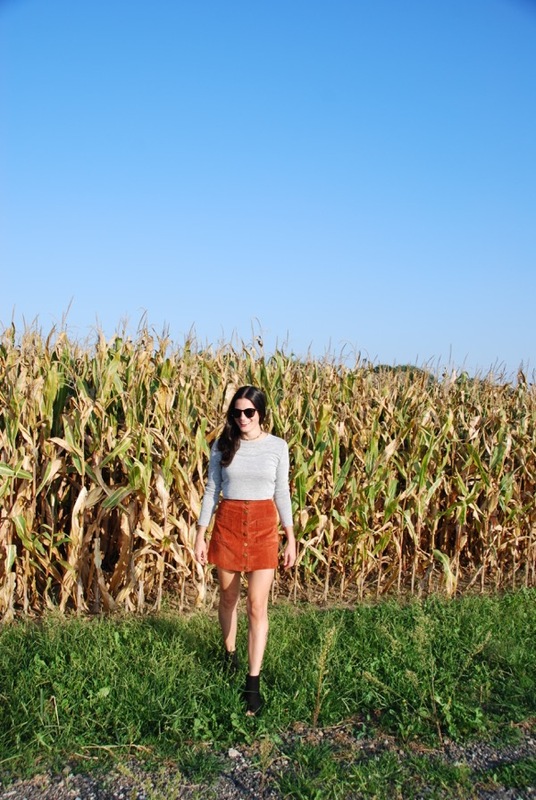 It’s the perfect skirt for the Indian summer we’re having right now and it’ll transition perfectly for fall. 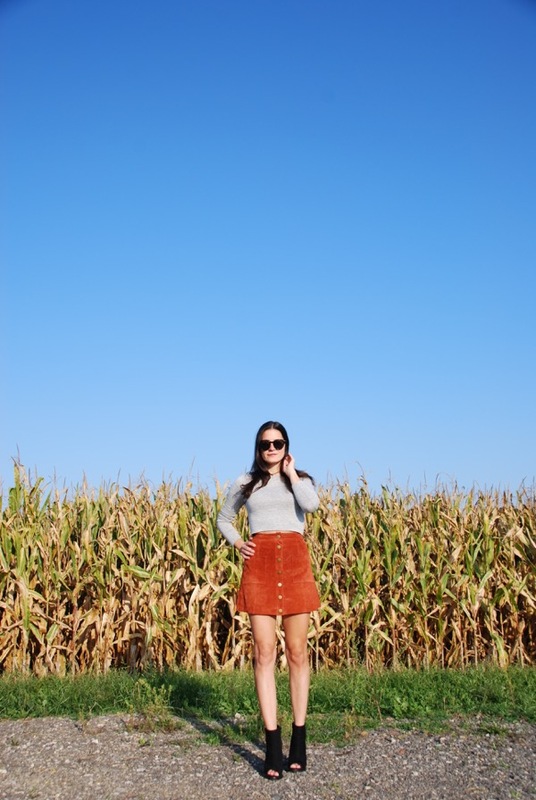 This season, it’s all about suede, mini skirts and 90s; obviously this whole look is winning! You all know how I love a good crop top/high waist combination and by pairing an open toe bootie, a simple choker and sunnies, you have yourself the best of all the trends together, but not overly done. I hate wearing trend upon trend, but these pieces are timeless and you’ll wear them over and over again, not just this season. 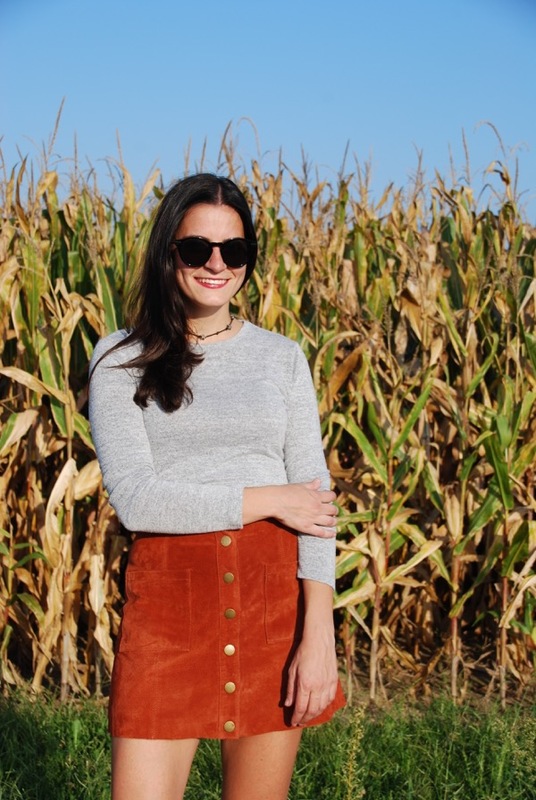 Also, what better way to welcome in the fall season than with a corn field backdrop. 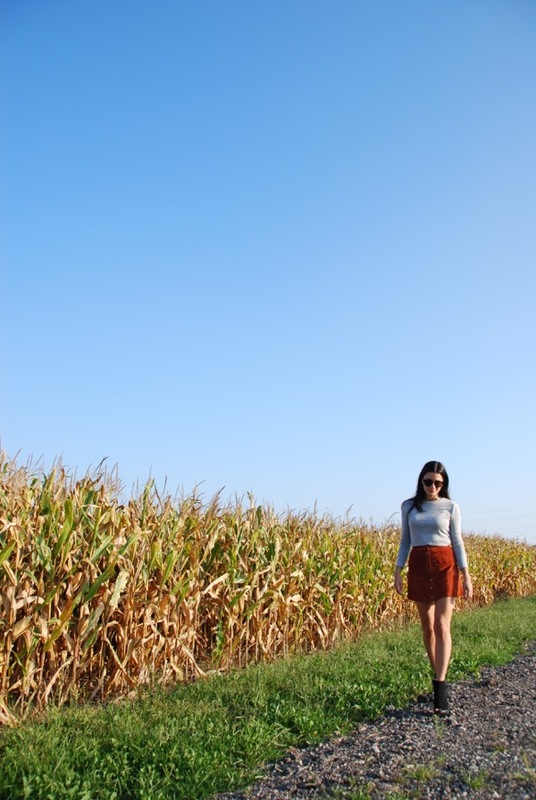 I was amazed at how tall the corn stalks were and how it still feels like summer. Right now is my ideal weather. Not scorching hot, but not cold at all. We’ve been spoiled with the weather, and I’m hoping that lasts a bit longer. A tidbit for you all is that I’ve had my star choker necklace since junior high. I even wore it for my eighth grade school picture, so it’s truly from the 90s. I’m so happy that I’ve kept it all these years because it’s pretty amazing that I’ve been able to hold onto it all these years, but the fact that it still fits and is sooo on trend right now. Such a cute outfit and loving this background! 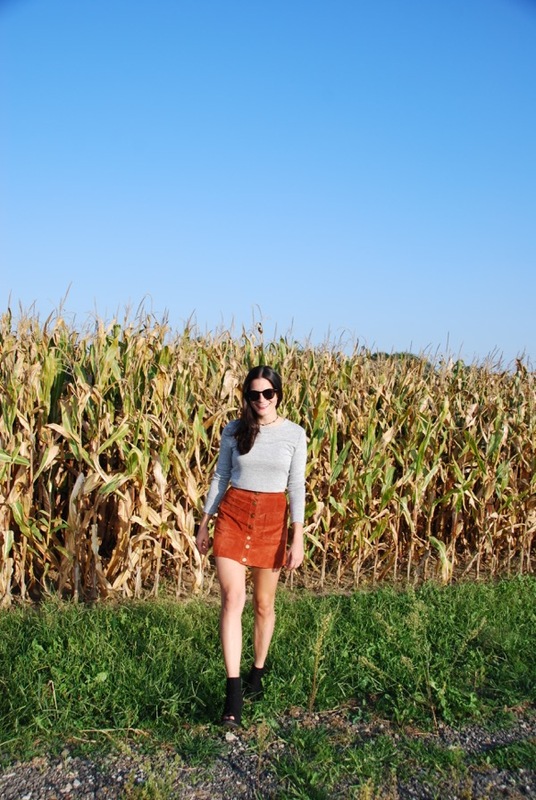 Can’t be some good ‘ol midwestern corn fields as a background ~ haha.